This is a 2011 update or remake of one of my most popular blog articles on my personal site. It’s regarding a book-based project that I give every school year to my third year high school students. I proudly call it: the BUY PINOY Experiment, where the students had to, whenever possible, exclusively use locally-made Filipino products, no imported goods allowed, for one week. As some of you know, I am a teacher by profession. One of the subjects I teach is Literature, and here I differ from the norm in that I give more than just fiction. I often have students read books that build their character in addition to the works by the authors such as Shakespeare, Victor Hugo, and George Orwell. 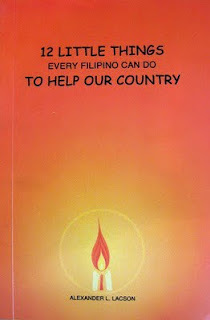 One such book, which the third year students read, is 12 Little Things Every Filipino Can Do To Help Our Country. The author, Atty. Alex Lacson, noticed that we as the Filipino people are very unpatriotic. We put down our own country constantly, so many of us dream of leaving, we don’t pay taxes properly…heck, even the most popular college course, by far, is one designed to get us out of these shores. So, this book is Atty. Lacson’s heartfelt effort to have us believe in our struggling country and do what we can to support it. He enumerated twelve easy steps on how to do that, hence the title. The third chapter of the book deals with patronizing Filipino products, and it’s one of the hardest hitters for me, personally. I grew up in America during the time they had a “Buy American” campaign; and the many South Koreans who live here among us amaze me in that they refuse to patronize anything not made in their home country. Filipinos? Well, in one of the first reflection assignments of this topic, a former student last year summed up very bluntly what is likely the mindset of her classmates, and probably of the whole nation as well: “I don’t use Filipino products to the point that I don’t even know what they are.” Now that hurts. And it’s not just my Filipino ego that hurts. The Philippine economy hurts too. Lacson explains that when we buy an imported product, perhaps 50% of the price we pay for it goes outside the country, money that could’ve gone to our very needy people if we bought a Filipino-made product. Of course, the main reason why we don’t patronize is we think that our products are inferior. Maybe it’s true for a good number of them, but why not support anyway and give them the funds to make their products better? Look at San Miguel Beer. Oh, we Filipinos loooooove to support THIS local product! Now, it’s hailed as one of the world’s best beers. So here’s their project for this chapter: The BUY PINOY Experiment 2011. The students, for one whole week, had to exclusively use Filipino products whenever possible, replacing the imported products that they love oh, so much. I learned my lesson from last year and sent out a memo to the parents, asking them to buy the Pinoy goods and to be one with us in trying to instill patriotic values to their kids. When one week is over, they write an essay about their experience. I just finished grading their essays, and was pleased with the results. Just like the first go-round last year, the students found little to no difference in quality between Pinoy products and their international counterparts. Hapee instead of Colgate was an easy switch for most. Some struggled with Magnolia butter compared to Anchor, but others didn’t see much difference. One student tried the locally made pineapple spread compared to the imported marmalade, and found the local brand much better. The Fibisco cookies were liked as much as, and some even better than, the international ones. And who doesn’t love Puto Seko? “Before this project, I underestimated and undervalued the local products of our country. Little did I know that after this project, I would see things in a different light and appreciate my country’s products more than I have ever before. Well, just like the first incarnation of this blog post, I want to use this article to challenge you, dear Filipino reader, to do your own version of the kids’ BUY PINOY project. You may be just as surprised as they were. Try it out for a week…and don’t stop there. They didn’t. My family almost always goes to either Jollibee or Bacolod Inasal when we eat lunch after church. I vastly prefer Human Heart Nature’s organic bug spray over OFF! lotion. Our native tsokolate or sikwate drink trumps Swiss Miss, and you can probably say that with our homegrown coffees, too. Hapee toothpaste and Magnolia ice cream have been long-time products in our household. It even got to the point that I sold my phones and bought a dual-sim model from the Philippines’ first mobile phone brand, My|Phone. My mom also followed suit, getting an even nicer model. Hey, if we can do it, and if my privileged students can do it, then you can buy Pinoy too. Outside of the shirts with the Philippine designs on them, and our manic support for Manny Pacquiao, patriotism in this country is just about dead…or at least in the ICU. 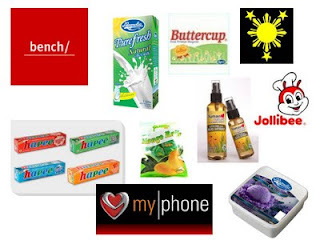 Buying Filipino products is an easy way to show our love for country. See you in Jollibee! Hey Carlo! Good job on this project! I'm always more than a little irked when people equate anything foreign with excellence, as if nothing local is of value. We should all do our part to instill a sense of patriotism in the next generation. Thanks for the kudos, guys! I've yet to find a list of Pinoy products out there. I don't know much beyond the brands I just mentioned. I wish there a list like that somewhere. Hello! Your project was featured on Human Nature's Facebook wall https://www.facebook.com/humanheartnature! Awesome idea. I love this post Sir Carlo! Very interesting ! Agree! When I was in the Philippines, I was ashamed to buy Philippine-made products thinking that they are inferior to the imported ones. But now, I'm here working abroad, my Thai co-workers would tell me that I would buy them some Philippine made bags or shoes because of its superb quality. So, I have to put my head upside down for a moment for me to think it right. Dapat talaga tangkilikin ang gawang PINOY muna. Kaya I have MyPhone. very cool and interesting stuff. I surely agree, locals should promote and buy local products as well, patronizing products internationally might jeopardize Philippine economy and marketing industries. suchcool and very interesting idea! kee it up! Very nice post and kudos for your idea with your students on buying local made goods. Hope this project will push through. I hope more people will support this one. Great start! Yes, we should buy more of Filipino products to help our economy and to teach our children and ourselves the pride we must have for our own. Cool you got the good post today. I like our products in the Phils. Hubby like our soy sauce datu puti because its low in salt then many that i can find in an Asian store that came from Pinas love to buy….It is true it will help our country..
this is a very good activity for the students. this will make them appreciate our products more. and that book will help them how to contribute to our country. great post! This is a very good idea. 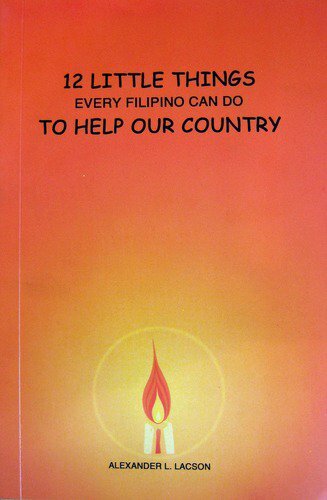 If each Filipino will do it, it will create a great impact. We Filipinos have been programmed to much by the media about colonial mentalitiy, it's about time to change! Oo nga nman! Why not?! I've read this book and I like this concept better to support Philippine Made products.. Very good ideas for this project, and you can influence Filipino mindset to the fullest. Good luck! It is always a good idea to promote local products and services of your own country. I buy Pinoy as much as possible. I've found that Human Nature and Ilog Maria products work better on my sensitive skin than any imported hypoallergenic soap, cream or lotion. We prefer the taste of local biscuits, snacks, chips and treats, too. There are so many great Filipino-made stuff out there, and I agree that people just need to learn more about them and give them a chance. I would to have copies of those books. 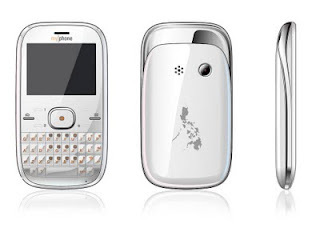 My husband and I gave up our Samsung, Sony and Blackberry mobile phones because we wanted to try Cherry Mobile (flare) and MyPhone (A919). 90% of our photos on our blog were shot using Cherry and My Phone units. 10% of which were taken using a DSLR. Dapat talagang ipromote ang sariling atin. That way we can learn to be competitive. This is a nice project if people will do this they will start to get use to Filipino products and eventual patronize it. I can relate, though I live overseas, whenever I saw Philippine made products from the grocery here, I usually prefer it rather than the local counterparts. Such as our Dole Bananas and Pineapples, Safeguard, C2 etc. Actually, I now am fiercely loyal to Cherry Mobile. Why? 1. It's a product of our city, Cagayan de Oro; and 2. A dear friend made the now-famous Cherry Mobile text message tone–he passed away 2 years ago. Great. I wish the pinoys here would do the same. Oh, but Safeguard is not a Pinoy product. Neither is C2, I think. Amen. Let's start with ourselves and our families.